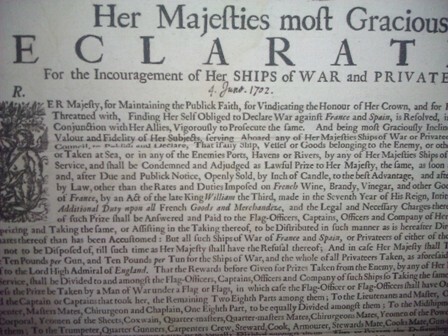 I was at a museum in London yesterday, and one of the items on exhibit is a document from the eighteenth century. It uses the letter f a lot where s should be used—for example, in Majefty. Did the letter f once have the same sound as s today, or were some of those words actually spoken with an f ? In the first place, it’s not f, but long s.
The long-s originated at a very early date in cursive Roman scripts, and can be seen in both Old Roman Cursive (1st to 3rd centuries AD) and New Roman Cursive (late 3rd century to 7th century). Long ‘s’ fell out of use in Roman and italic typography well before the middle of the 19th century; in French the change occurred from about 1780 onwards, in English in the decades before and after 1800, and in the United States around 1820. This may have been spurred by the fact that long ‘s’ looks somewhat like ‘f ’ (in both its Roman and italic forms), whereas short ‘s’ did not have the disadvantage of looking like another letter, making it easier to read correctly, especially for people with vision problems. It’s not f (that is, Unicode codepoint U+0066: LATIN SMALL LETTER F), but rather ſ (meaning Unicode codepoint U+017F: LATIN SMALL LETTER LONG S). Not the answer you're looking for? Browse other questions tagged orthography history pronunciation-vs-spelling typography or ask your own question. Esh (ʃ ) as S in English language? Where does “goodness me” come from? Is the history of h-dropping in English in any way related to the silent h of French? When quoting a speaker of another English dialect, should you spell things his way? Are curly braces ever used in normal text? If not, why were they created? How was English orthography reformed?